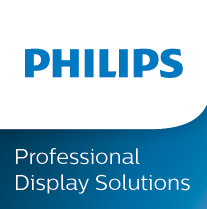 Philips Professional display Solutions, is a market leader in both Professional TV & Digital Signage Solutions. The company has a heritage of developing innovative technology, and is driven to provide meaningful and complete solutions, bespoke to each customer’s requirement. Solutions that remain simple to install and easy to operate remotely.